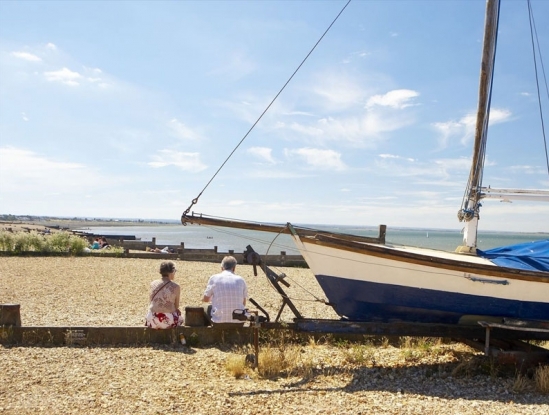 The beaches in East Kent are renowned and all pass the water quality test. We have both sandy or shingle and every beach has its own character. Here are just a few of our favourites. 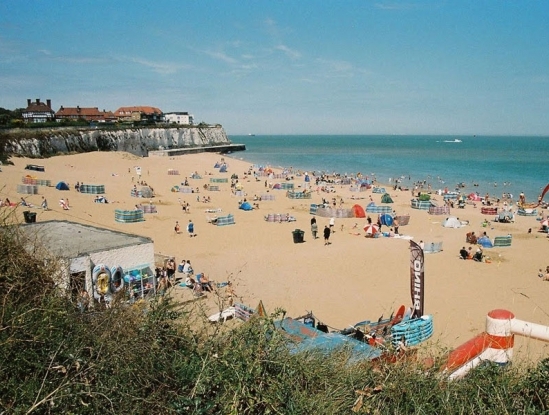 Broadstairs Main Beach, bucket and spades, fish and chips, fresh-water pool with good crabbing at low tide. Morelli's for delicious (and not cheap) ice cream. Beautiful big bay with interesting rock formations, good low tide crabbing. Popular horseshoe shape bay, Surf Shack, kids play area. Can get packed in high season. Long bay popular with dog walkers/cyclists on the cliff top. Loads of space at low tide. The Minnis Restaurant does a great Sunday Breakfast, free parking on the prom. 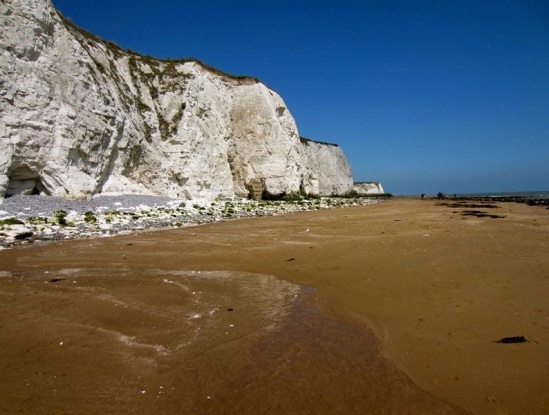 Popular beach with locals, loads of sandy space, good crabbing at low tide. Grassed area on cliff good for playing at high tide. Only 1 Cafe. Great for watching sunsets, having a coffee. Another locals beach, slightly busier than West Bay. 2 cafes (Pav's Cafe great sun trap). Great long prom and pastel coloured beach huts. Fish and Chips from Ossies or a snack at JoJos Cafe. Great for kite-flying. 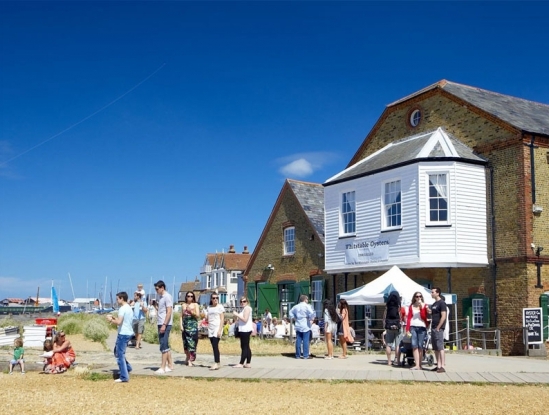 More popular for the harbour, shellfish and shopping, packed at weekends. Still lovely place to sit on the beach and watch the tourists stroll on the boardwalk. Definitely ice cream, arcades and fish and chips atmosphere. Great kids playground on the prom and a helter skelter on the pier.